Purple was her favorite color. Song and dance were how she loved to express herself. Her joyful spirit had a way of taking down racial and cultural barriers, and her exuberant smile could instantly warm any room. Ana Grace Márquez-Greene was only six years old when her life on earth ended that 9A0-090 tragic day at Sandy Hook Elementary School. And now her legacy will live on as people from all walks of life embrace the message of hope and resilience put forth by a new initiative bearing her name. 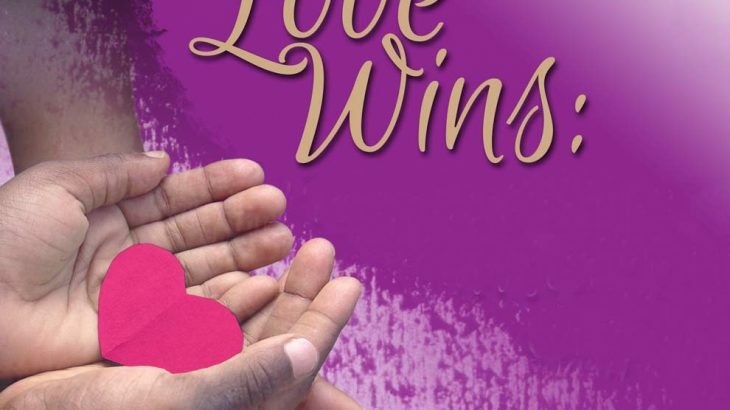 “Love Wins: A Conference Promoting Love, Connection and Community for Every Child and Family” took place on Monday, December 2nd at the University of Hartford’s Lincoln Theater. 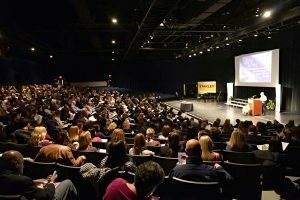 The inaugural event of the Ana Grace Project of Klingberg Family Centers, the daylong symposium celebrated Ana’s life and inspired the more than 500 people in attendance to explore the most effective ways to build community and interpersonal connection to prevent violence and promote recovery. In the face of their incredible loss, Jimmy and Nelba Márquez-Greene launched this important initiative by partnering with Klingberg Family Centers, where Nelba was working when the tragedy occurred last December. A licensed Marriage and Family Therapist, Nelba previously coordinated our Marriage and Family Institute, a joint effort with Central Connecticut State University,. From the moment attendees arrived, it was readily apparent that this would be no ordinary conference. University of Hartford students directing the parking areas donned purple hats and gloves in honor of Ana Grace. Filling the theater to capacity, participants represented the fields of medicine, nursing, education, mentoring, early childhood, mental health, foster care, and the faith community as well as state and local government. Looking out on the audience, it was touching to see that nearly everyone, men and women alike, had worn something purple in memory of Ana Grace. TB0-114 President Walter Harrison welcomed participants to the campus for the critical community conversation, fondly noting that Jimmy and Nelba are both alumni of the University. Participants were then treated to the inspiring voices of The Connecticut Children’s Chorus singing “Let There Be Peace On Earth” under the direction of Dr. Vanessa Bond. Ana Grace’s parents, Jimmy and Nelba Márquez-Greene, then took the stage, escorting their son, Isaiah to the piano where he performed a touching solo piano piece. Early in the planning, Stanley Black and Decker came forward as the major business sponsor of the conference and supported the establishment of the Ana Grace Project. 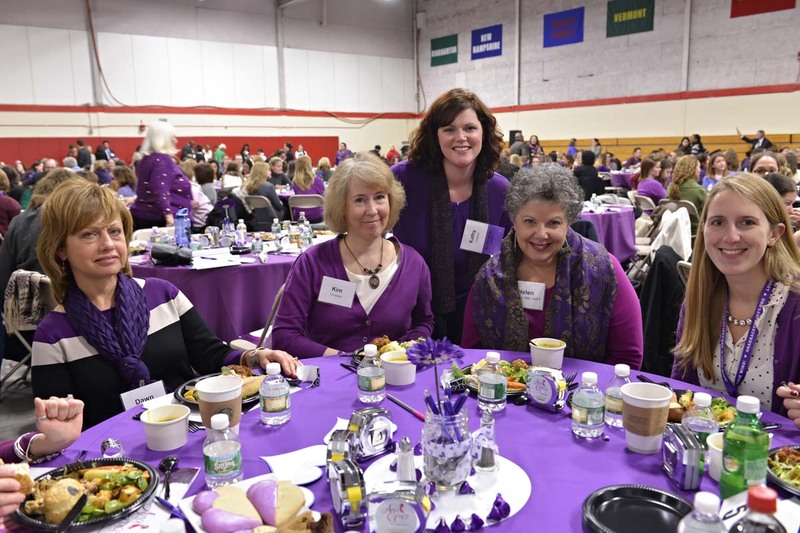 Siracusa Moving and Storage became involved as a Scholarship Sponsor, enabling Klingberg Family Centers’ program staff and families from Sandy Hook the opportunity to participate. The conference has also united the resources of the University of Hartford, Central Connecticut State University and Western Connecticut State University where Jimmy Greene serves as a Professor of Music. Among the speakers during the day was a colleague on the Western faculty, political scientist Christopher Kukk, who heads the university’s Center for Compassion, Creativity and Innovation. 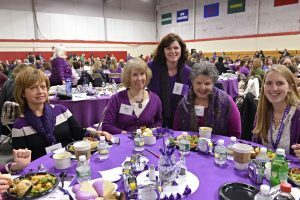 During the luncheon for participants in the symposium, some of Ana’s favorite foods were served on tables covered in purple and decorated with hearts. The day was a remarkable blend of serious and complex discussions exploring how communities can be encouraged to work together in new and enduring ways to avert tragedy – and poignant reminders of a little girl tragically taken from our midst. “We were tremendously heartened by the wonderful response to this initiative. 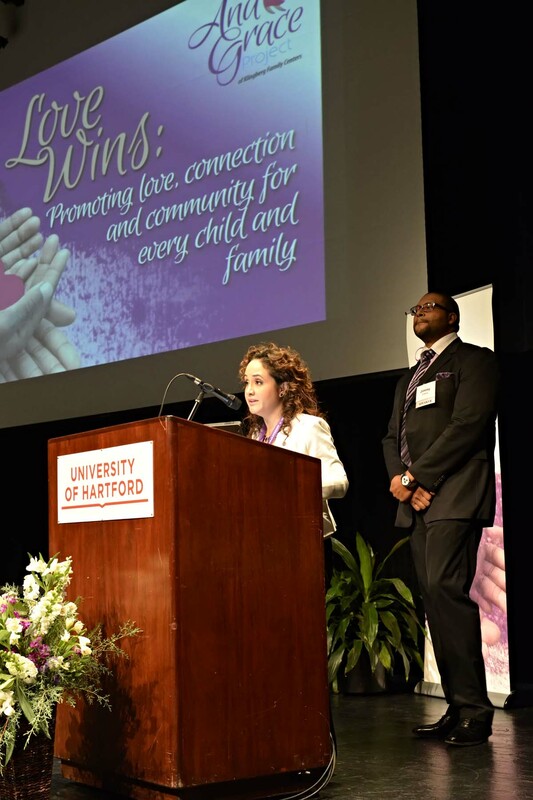 The determination and resolve that was plainly evident in every individual in attendance – to earnestly work together to explore ways and means to nurture more compassionate and enduring community connections – provides reason to hope,” observed Nelba Márquez-Greene. “Today was an important first step, not only for the Ana Grace Project, but for all who believe that we can develop communities in which resilience, understanding, and compassion can truly thrive. 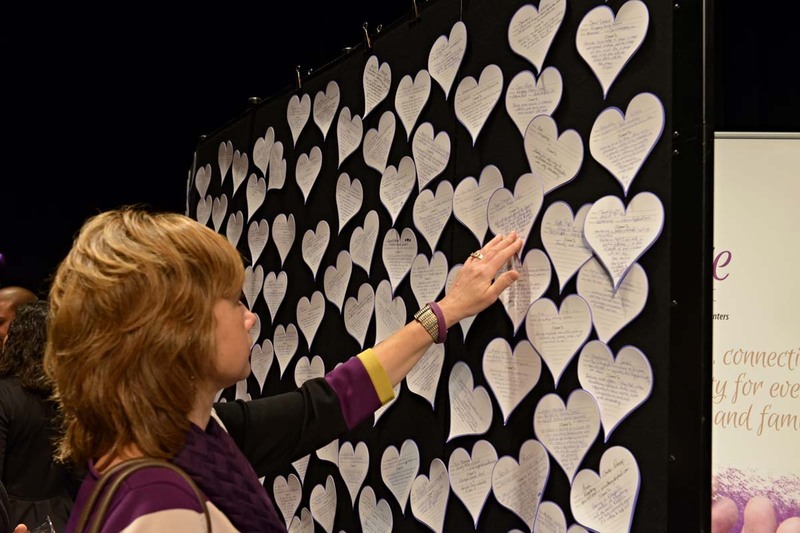 It was a day to honor Ana Grace, and a day to look ahead to what our communities can become,” she added. Others could barely speak as their eyes filled with tears. As the conference drew to a close, everyone was asked to write down their own personal commitment to make changes where they live and work in keeping with the theme of “Love Wins.” Each message inscribed on a beautiful purple, paper heart was later posted on a wall erected on the Lincoln Theater stage. 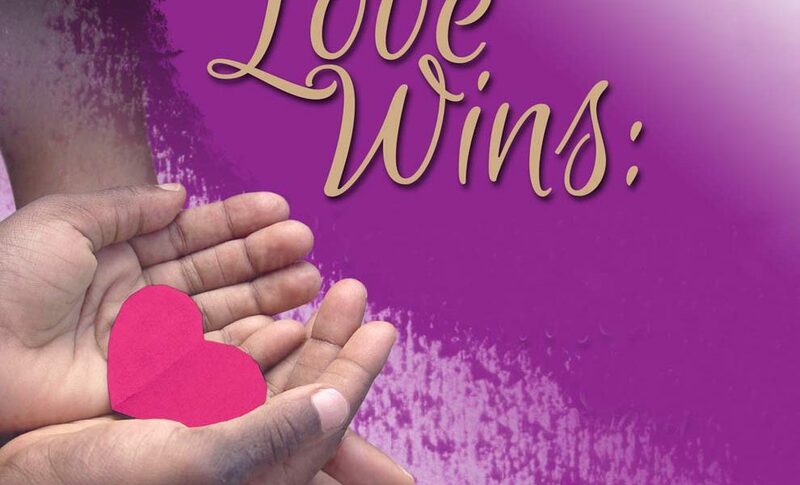 “Our family was looking for a way to look tragedy in the face and declare that “Love Wins!” The Ana Grace Project of Klingberg Family Centers not only honors the memory of our precious daughter, it is the beginning of something we hope will have an impact for children nationwide for years to come. Our goal is to encourage every person and every community to address mental health and prevent violence one child and family at a time. We know our little girl is safe in the arms of her Heavenly Father, and that is our source of comfort and hope,” Jimmy Greene said.